I am so excited to share this new fabulous product that I recently picked up from Superdrug. This is the Pure Clay Detox Mask by L'Oreal Paris, there are 3 masks in the Pure Clay line, I only picked up the Detox one to try it out and I love it so much that I have to go back and get the other two which are Purity and Glow. Each one of the masks has an active ingredient that makes it unique and perfect for all different skin types and skin issues. So, lets jump right into the review. The Detox mask contains Charcoal that is great for removing impurities and dirt and it is also good if you suffer from blackheads like I do. This mask leaves your skin looking glowly, healthy and also so soft and fresh. 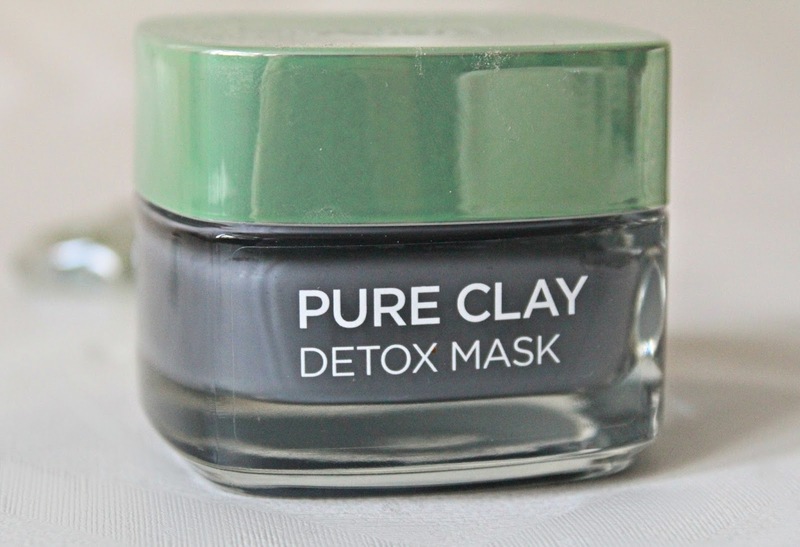 The Detox mask also contains kaolinite, montmorillonite, and ghassoul to give the skin a deep cleanse and purify. When this mask is applied it has an amazing smell to it, that I was originally worried about because some masks have a horrible chemical smell to them. You should leave this mask on for around 10-15 minutes, I had to leave mine on a little longer until it had dried because I wanted to get the most of the benefits that I can, once it was dry and it had pulled my skin as much as it could have haha, I just took a damp warm cloth and removed the mask. Once removed my skin instantly felt tighter, clean, healthy and just amazing overall. Each of the pots contains 50ml of product which I think is enough if only one person is using it, it is said to deliver 10 treatments. Another thing that I love about this product is the packaging, it is a glass jar with a gorgeous green lid. By it being glass it makes it feel so luxurious. A weeks use of this product (2-3 times a week) is said to promise that skin will look mattified, softer and cleaner. 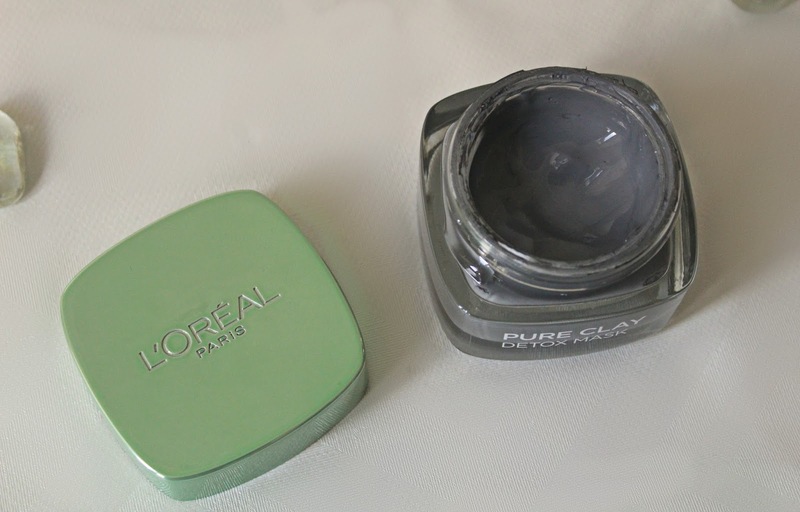 The Charcoal in the Detox mask has been included to act like a magnet and draw out any impurites that you might have. After a week my skin felt fresher and also more luminous, I noticed it especially when I had done my makeup and it was sitting lovely on my skin compared to before. These masks retail for £7.99 each, however, they are currently on offer at Superdrug for £5.29 here. So if you're interested then head into your local Superdrug or pop online and pick them up while they are on offer. Have you tried any of these masks? Which one is your favourite?